You are an artist of the digital era. 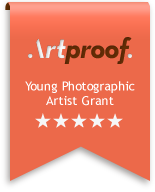 And we at Artproof are dedicated to making your works tangible and real. We believe as every work of art is unique, then so should be our service, from wall to wall, we always aim to meet the needs and expectations of every individual practitioner. This means we have a wide array of ready made services, and of course we are willing to learn from you and develop our service by catering to your specific needs – be it your first or thirty-first order at Artproof we never compromise on quality. • Calibrated re-orders of printouts archived in our system.